Filled with anger, Mukku's father says, 'No, this Sangam, then why do not come after the catastrophe.' And then Mukku says, 'Then Jap will do the day-night.' What was then, the clouds burst and the water disaster comes in the village of Mansur-Mukku. The Kedarnath tragedy has been presented to the audience in a fairly persuasive manner, which will see your hair fall. Abhishek Kapoor has created a love story based on the catastrophic natural disaster that came to Kedarnath in 2013. But the script of the movie is quite weak, which makes the first half of the film very lazy. The writer and director of the film have included the threat to the environment in the story but left it somewhere in the middle. The direction of the movie is quite weak and nothing new is seen. Talking about acting, Kedarnath is completely a movie of Sarah Ali Khan. Sara's acting looks self-confident and she looks very beautiful on the screen. Sara has blossomed in the role of a strong and strong Mukku. In many scenes, Sara Ali Khan has acted with his eyes only. On the other hand, she reminisces of her mother Amrita Singh in some parts. At the same time, Sushant Singh Rajput has been seen somewhere buried. It is possible that the script has the same demand. But we expect more from a strong actor like Sushant. Mansoor and Mukku are very different from both of them, if they are given a little more attention in their characters, then their romance in the film will leave a lot of influence. The rest of the film's star cast, Nitish Bhardwaj, Pooja Gore, and Alka Amin, were not given the chance to overdo their characters. 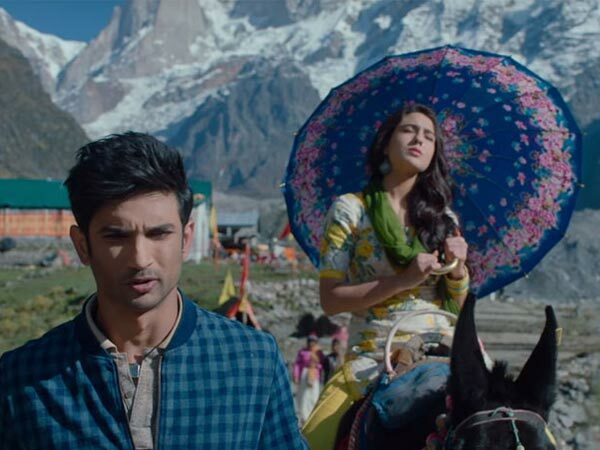 Cinematographer Tushar Kanti has captured the beautiful shade of Kedarnath in the camera. Some scenes are very beautiful. Editing the movie is good. But Amit Trevadee's music is average, in addition to 'Namo Namo' in the film, one song does not leave you in the long run.